The ASHA format is designed to be positive and straight forward – always encouraging growth and improvement. A close examination of how the ASHA classes are conducted and evaluated will reveal a real effort to keep a horse as natural as possible while still training him to be correct and precise. The stock horse pleasure class as designed and run by ASHA is completely unique. This may be the most important class offered because a good stock horse must be functional and a pleasure to ride. Probably the most important job a stock horse has to perform is to be a means of transportation to get from one task to another. 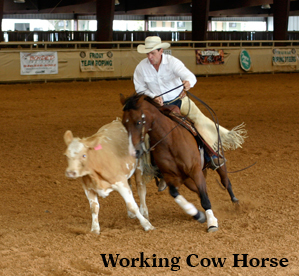 The cow horse class is pointed and judged in a more realistic manner than many of the other cow horse classes offered. The option of either roping or circling is unique and very necessary. Having the option of either roping or circling allows the good roping horse to be showcased, but also allows the non-roper a chance to own a good cow horse. Being able to control a cow without roping is a science as old as roping itself. 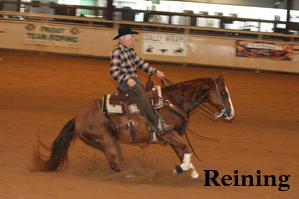 The reining class is separate from the cow horse class. This is by design and is important because some good ranch horses will work a cow very well, but are not good at all of the specific maneuvers required by a reining horse. By the same token some good reining horses may not work a cow very well. A horse’s past experience and training may allow them to compete well in one class while learning to also do the other class well. 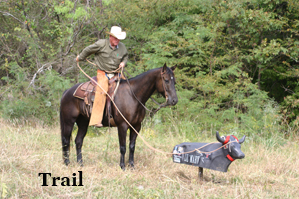 The trail class attempts to measure the ability of a horse to handle different stock farm or ranch chores. ASHA obstacles are common sense, everyday encounters and the class is held on natural terrain where possible.